Junk and Rubbish Removal Services in Vermont. At 1844-Junk-Rat – junk and rubbish removal in Vermont is made easy… because we do all of the work! Private residents, commercial enterprises, and councils lean towards green waste disposal solutions as the levels of waste rise in the Vermont community. 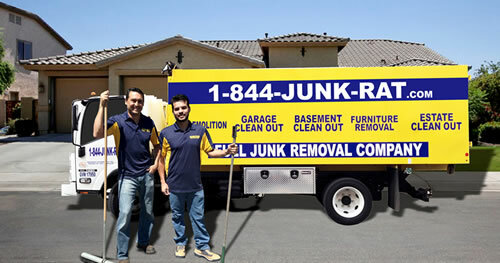 1844-Junk-Rat.com takes pride in understanding how to serve our clients by offering affordable solutions to help manage the cost of waste disposal and by offering sound services that encourage sustainable disposable management. Though affordable, our skilled workers handle all the heavy lifting from the moment they arrive until the last piece of waste has been disposed of. After load cleaning is standard with every project at no extra cost. To find out more about our affordable, professional services, get in touch with us here at 1844-Junk-Rat.com for a no obligation consultation for your waste management project. Mattress, mattresses, mattresses…..the disposal of which is the bane of any household. Thankfully I called the people over at 1844junkrat.com/ to help me dispose of mine. As a disabled person, moving a mattress down two flights of stairs and loading on a truck isn’t really possible. The company advertises that they do all the lifting, which they really mean. When the junk removal truck got here, on time, all I had to do was sit tight point to where the mattresses were and wait for them to finish loading. That simple, that quick, the whole experience took about 25 minutes from start to finish. You might think such service comes with a huge price-tag, but 1844junkrat.com/ is really affordable even for people on a fixed income like me. I wholly recommend their service to anyone in the Burlington area as well as any other areas they may have offices.